My assaults what would you do? Pink, keep or scrap, what would you do? I would instantly scrap OlDirtyBasta and The_Avenger. I would lvl up The_Enforcer and badge him up for use but would not invest any tokens. Apparently you are not end-game yet so just save tokens for now. He will be enough. I wouldn't invest more tokens in any and I definitely wouldn't recommend retiring any until you find better ones. They'll be useful in the distance at the very least. IMO The Enforcer is the one you'll find the most useful, shame he has bullet dodge. I really like The enforce. The enforcer is perfect for raiding outposts. I would have to say that The Enforcer is my favorite of the 3. The first 4 traits he has are A+ traits! Bullet dodge varies from player to player. I personally like having a few shooters, a scout, bruiser, & a assult survivor for maps with Freemen, in my Outpost & occasionally on raids, plus on the Distance with Freemen. 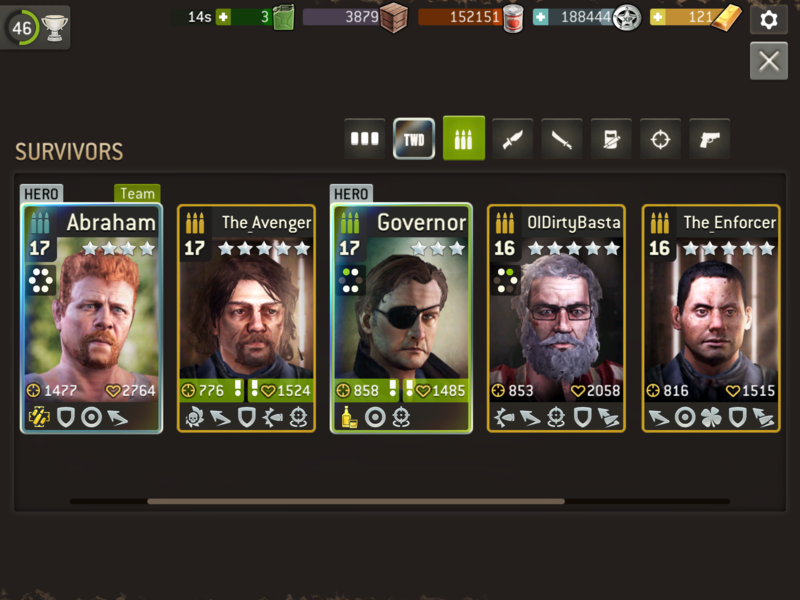 When you consider all the possible traits that a survivor could have, I believe that if you have 4 A+ traits it still get you a good strong survivor. For ranged survivors Marksman & Sure shot do go good together for that extra damage boost but only if you dont move your survivor. The reason why I dont really like sure shot on many of my survivors is because I almost always move them. My preferred traits for ranged are Marksman, Dodge, Iron Skin, Luck, for the fifth trait I am happy with Ruthless or Sure Shot. This is just my personal opinion, Im sure that many players will disagree with some or all of my opinions. Good luck with your assault class!! Thanks for your help, will keep all three for the time being but wont invest in them.